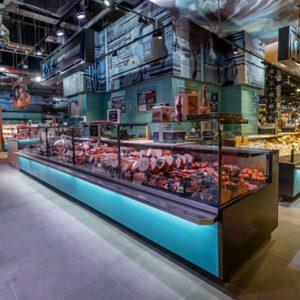 Fozzy Group has never failed to astonish its customers. 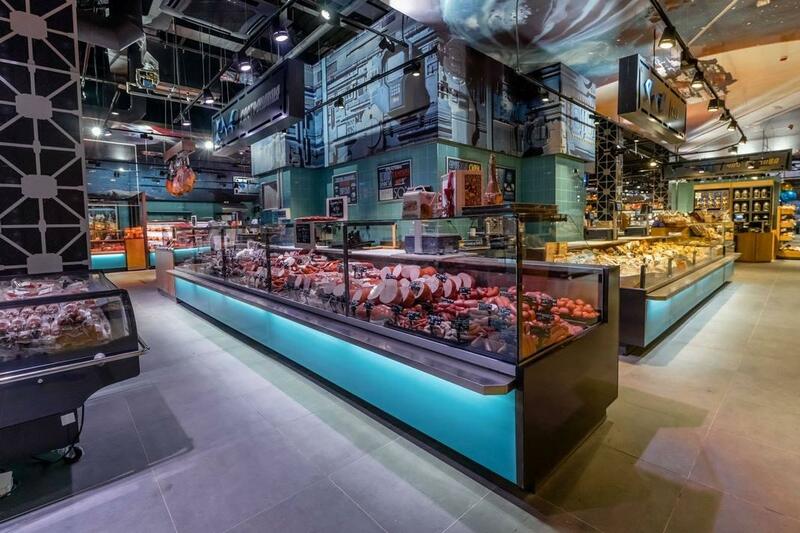 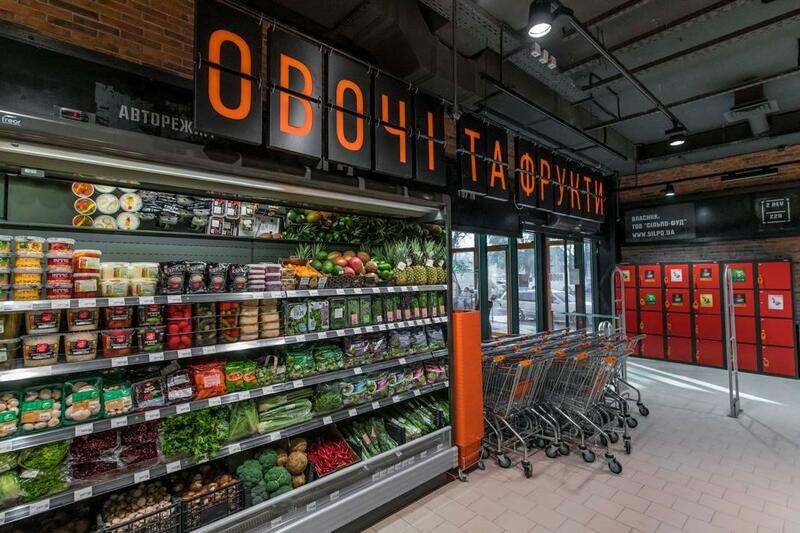 Two exclusive SILPO stores has been opened in Ukraine, each featuring a creative retail concept. 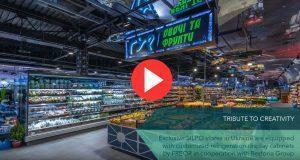 FREOR has gladly cooperated with this endeavor by proving sustainable refrigeration equipment. 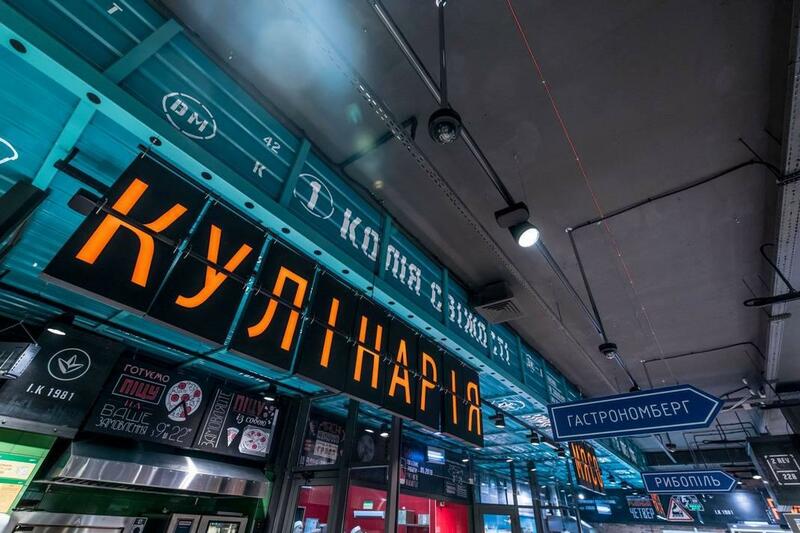 It is always exciting to participate in a creative project. 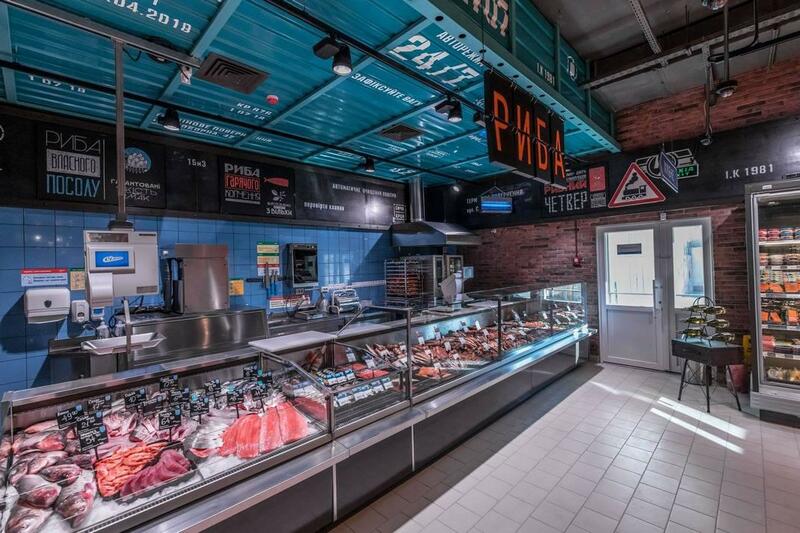 Together with our partner Restoria Group, FREOR has fulfilled an unusual request from SILPO by providing customised refrigeration equipment. 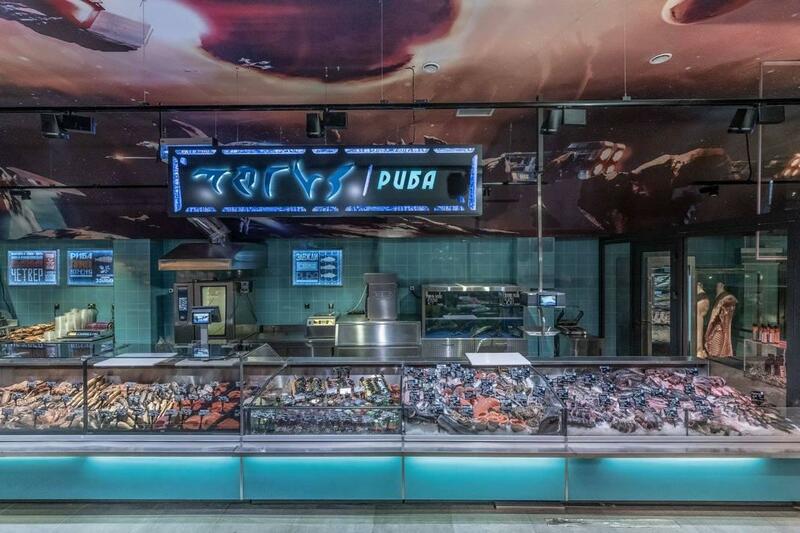 DELTA freezers, JUPITER multidecks with panoramic sides, DIONA QB and DIONA QB H2 serve-over counters, PLUTON SPACE semi-verticals and ELISA QB pastry counters – all of these have travelled into space or back to the past. 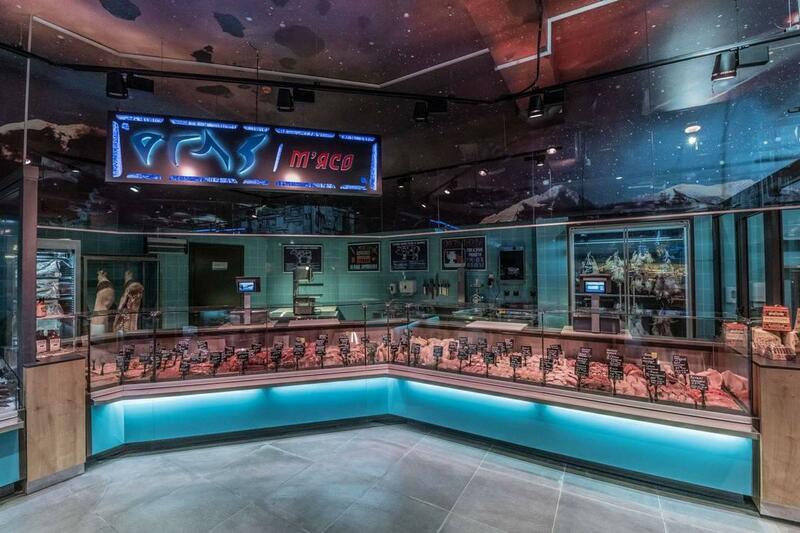 Star Trek fans will finally find their favorite shopping spot. 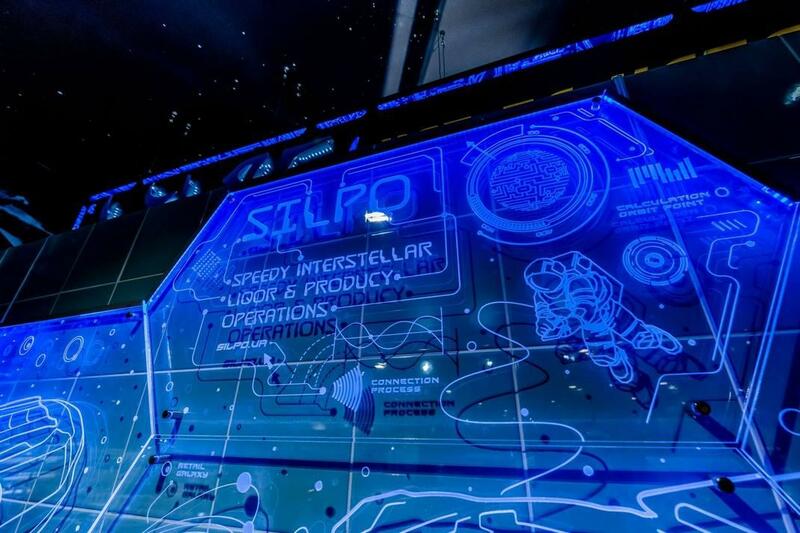 The SILPO store in Kharkiv City will send you straight to outer space! 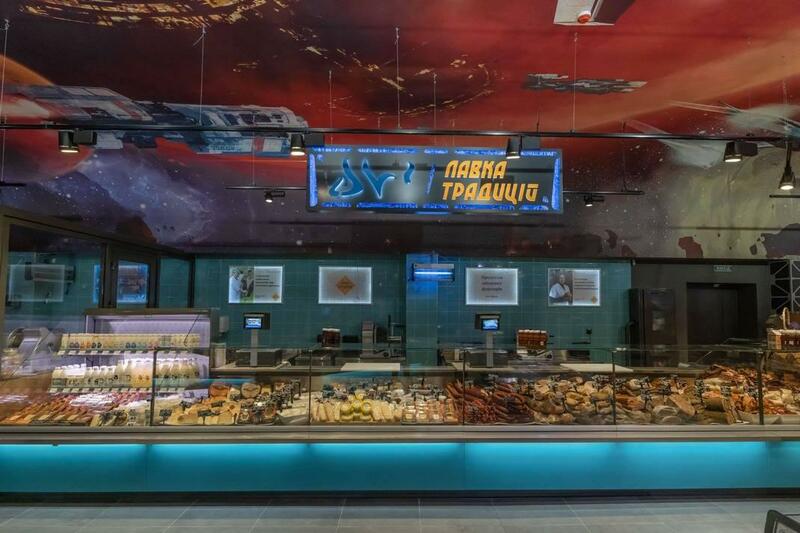 Under a dark starry ‘sky,’ surrounded by the planets and mirrored spacecraft, customers will have a wide choice of daily and gourmet products. 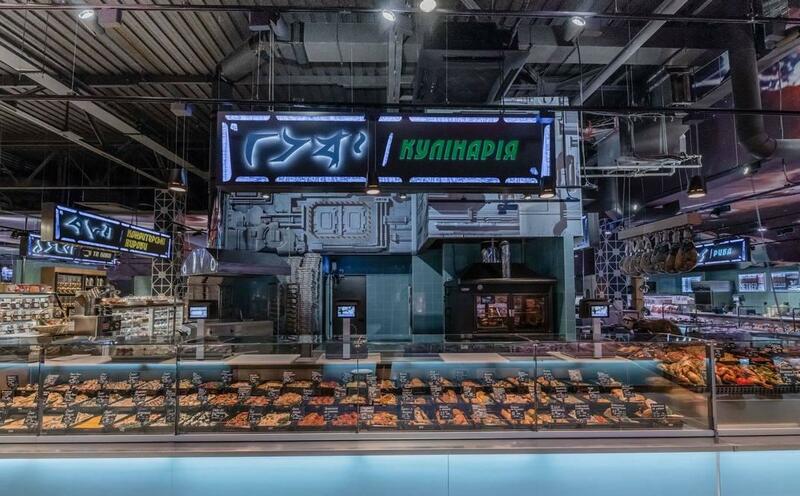 The 1170 square metre galactic supermarket welcomes customers from all over the universe as every signboard is also written in the Klingon language. 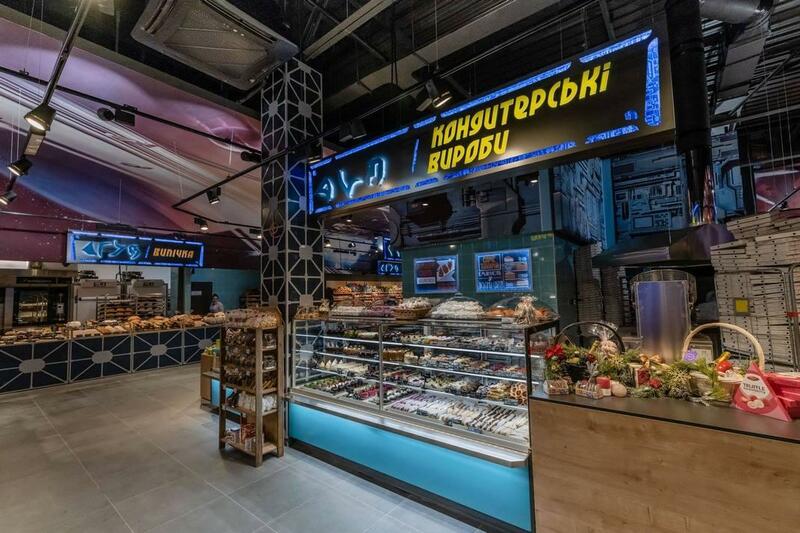 However, those who love to stay on the ground rather than travel into space can visit the SILPO store in Fastiv City, where the interior recreates an old railway station. 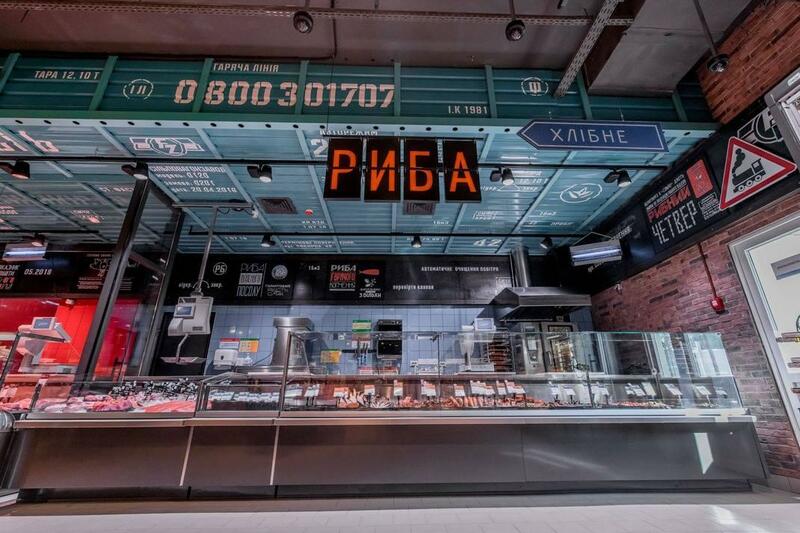 With massive containers, railway lights and vintage locomotive decorations, it will give you the sense of the industrial 17th century. 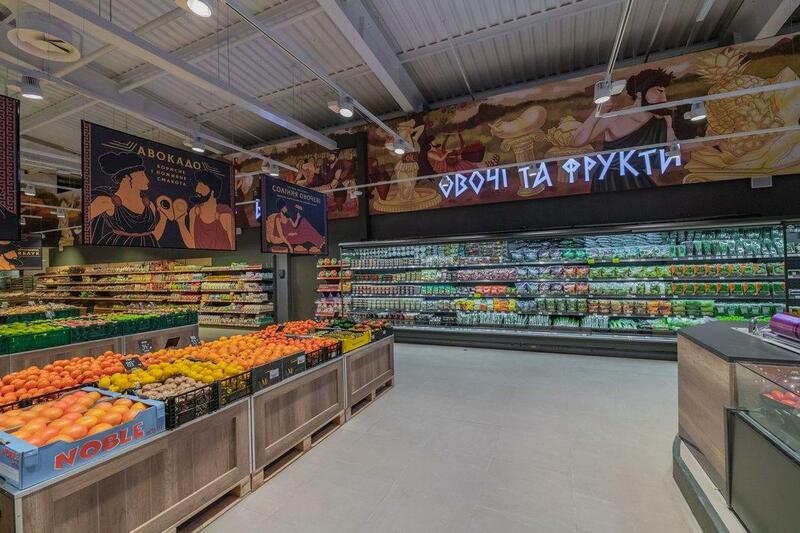 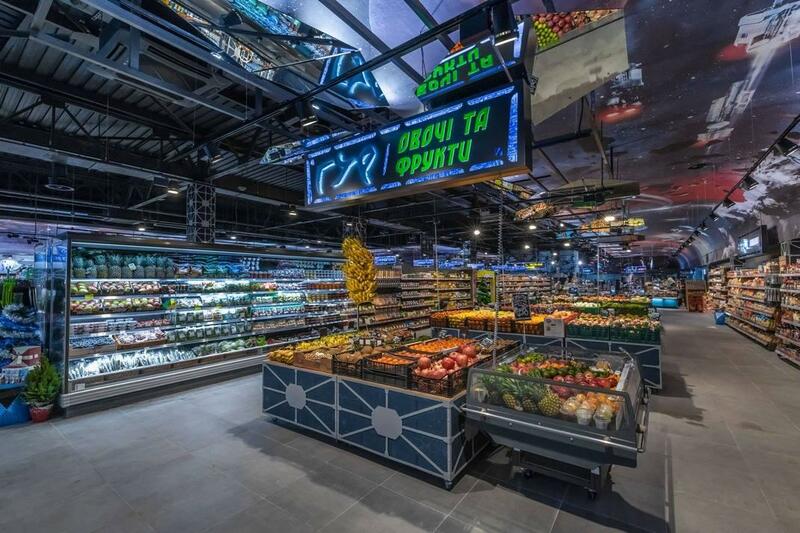 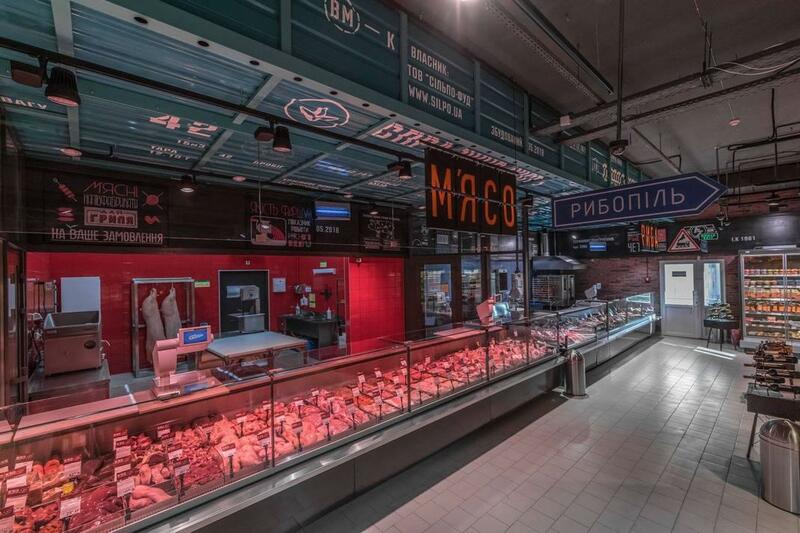 One of the largest Ukrainian supermarket retail chains, SILPO, has now pushed the customer shopping experience to a higher level.